The month of May is here! Can you believe it? The year is really flying by. If you are a loyal meal planner or someone who is just getting started in the meal planning world, one of the best ways to stay accountable and on top of your meal plan each week is to write it down and display it. For that very reason I love to offer a free printable meal planner to my readers each month that is always themed. Print it out and start planning your meals for the month. This printable is intended for one week at a time. There is also a notes place to start tracking for a grocery list as you run out of staples during each week. Another thing you can do is laminate this printable and then use a dry erase marker to use the same page over and over again for the month. 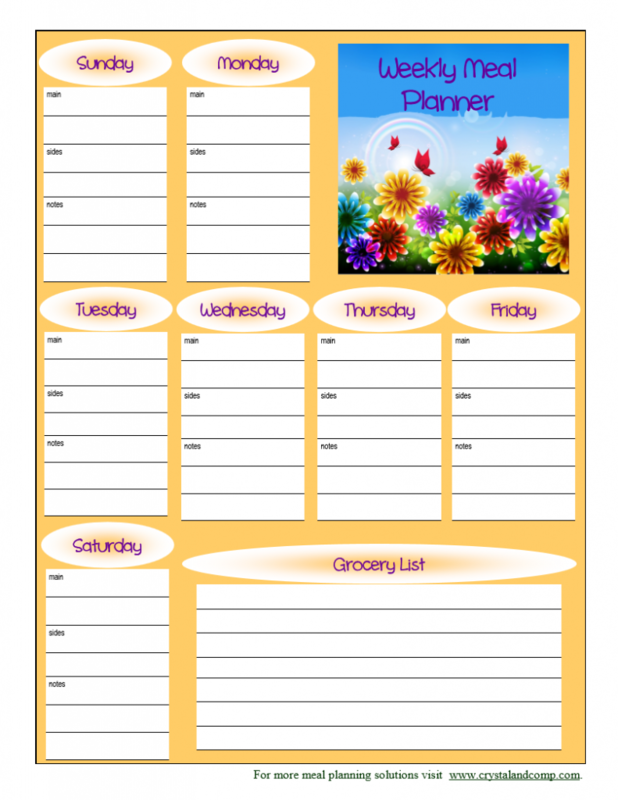 Print the free printable meal planner for May 2014. Thanks so much for sharing this great menu planner at the In and Out of the Kitchen Link Party. I think having a great menu planner makes it more fun to figure out what you will eat all week! Thanks Crystal,your meal planners always come in handy!